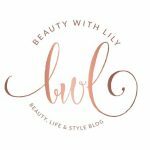 Multi masking has become a huge sensation in the beauty world lately, but what is it? This is your complete guide to multi masking, what it is and how you can do it home! Hey lovelies! I’m back from almost 2 weeks off! It’s been so relaxing but I’m ready to jump back into my regular hectic schedule. 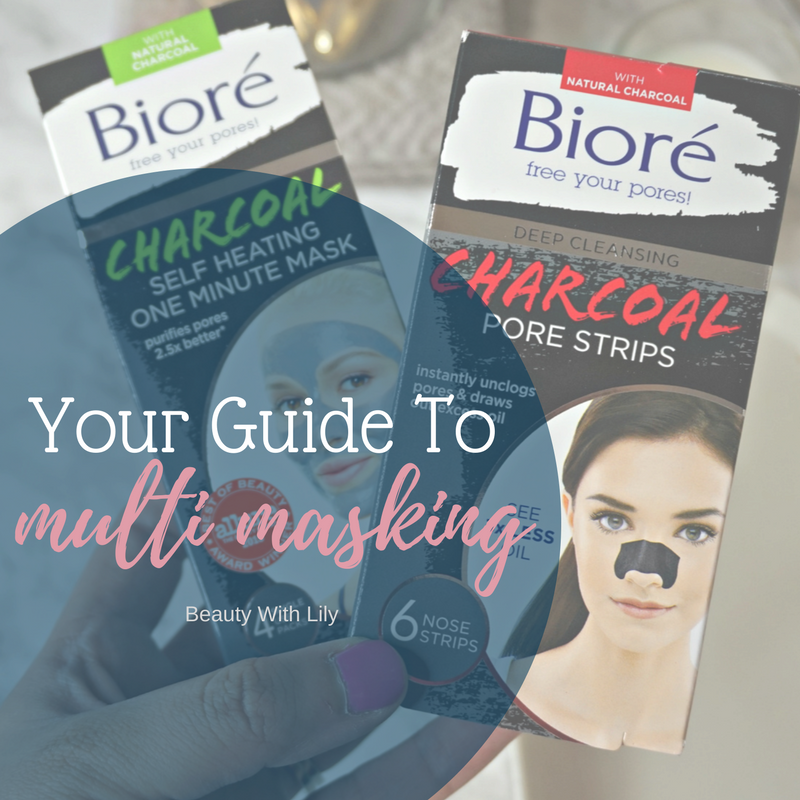 In today’s post I’m going to be talking all about multi masking, it’s benefits and a few products I’ve been using lately that I love the Bioré One Minute Self Heating Mask and the Bioré Deep Cleansing Charcoal Pore Strips. 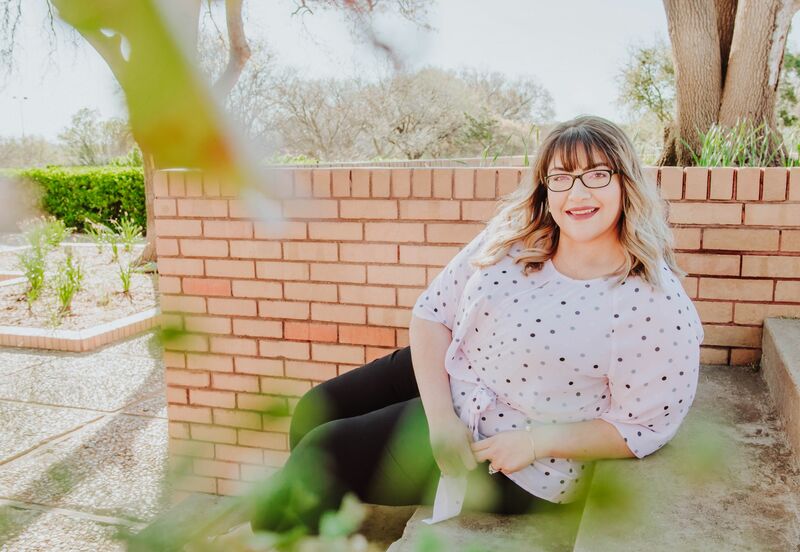 Multi Masking is a facial treatment, that can be done at home, where multiple face masks are applied to different areas to help treat multiple skin concerns all at once. Not everyone has normal skin, I for instance have an oily t-zone, acne prone chin area and somewhat normal everywhere else. One mask doesn’t take care of all of that for me, so I have to rely on several different masks to help my problematic skin. First off, you have to find out what skin type you have and what products will work best for your skin problems. 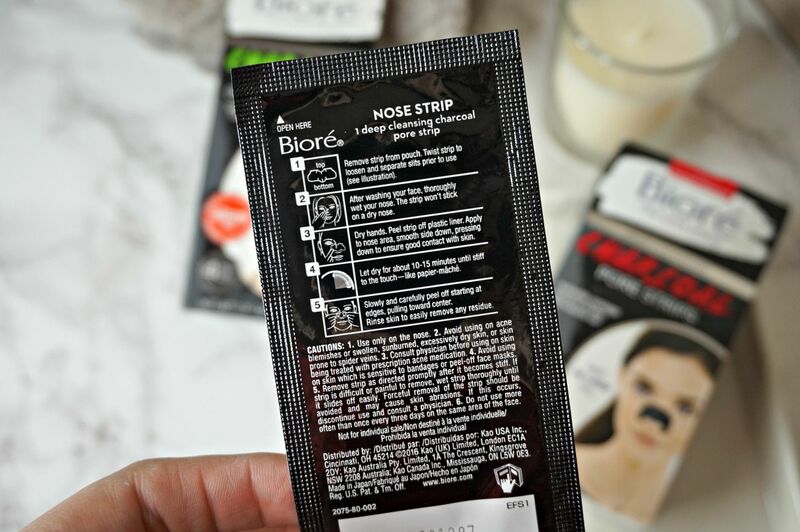 These pore strips are dermatologist tested to purify pores by lifting out grime, oil and blackheads. Infused with natural charcoal, they work like a magnet to lift up all of the built up gunk. In just 10 minutes you’ll get a deep clean! 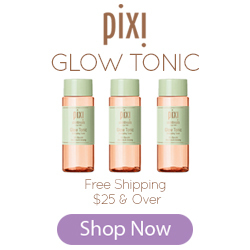 TIP: Use them weekly to avoid complexion problems — when used regularly, they also help diminish the appearance of pores. Our under eye area is extremely thin and sensitive, so choosing a product that adds moisture would be ideal. As we age, we may notice wrinkles, so adding in a product that boosts moisture and helps with skin elasticity would be the way to go. TIP: Try using products that are natural, since our eye are is sensitive. This mask is so unique, it heats up and it never hardens. 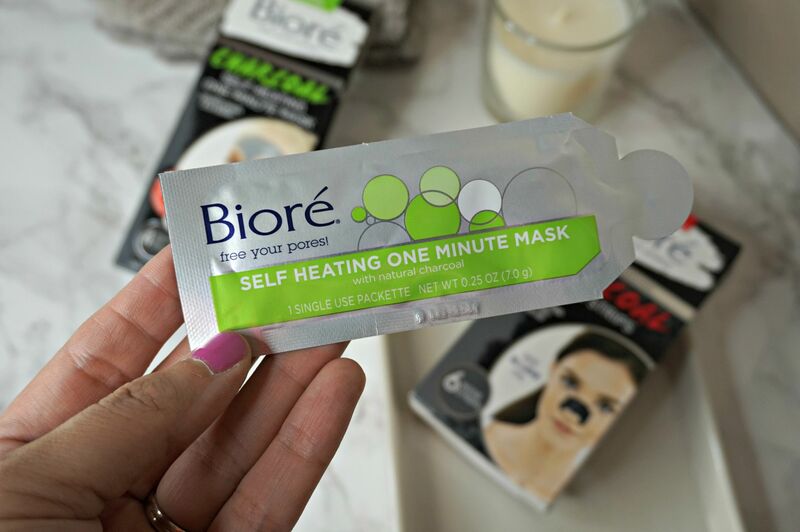 Just like the pore strips, this mask is also infused with natural charcoal that helps purify pores 2.5x better, in just one minute! Once you’ve washed this off, it leaves a cooling sensation, along with super soft and supple skin. TIP: This mask comes in individual packages, making it perfect to travel with. Try to set aside some “me-time” every week to multi mask and pamper yourself and your skin. Be careful not to leave a mask on too long, or use it too often. Switch out clarifying masks for hydrating mask every once in a while, you don’t want to strip your skin. 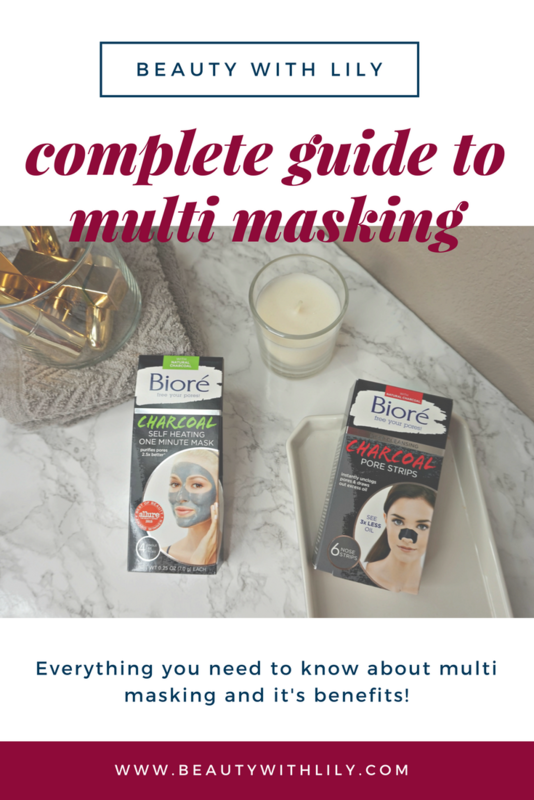 Hopefully you found this post helpful and are willing to give multi masking a try. 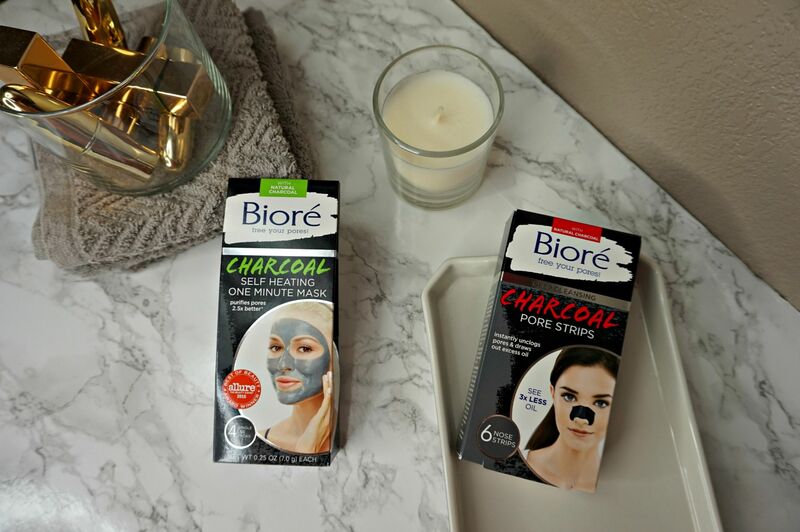 Both of these Bioré products are super affordable and definitely worth a try! Are you into multi masking? Have you tried the new Biore products? 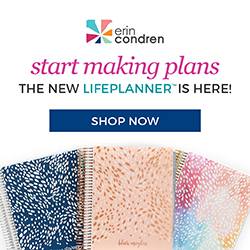 Found this post helpful? Pin the image below!